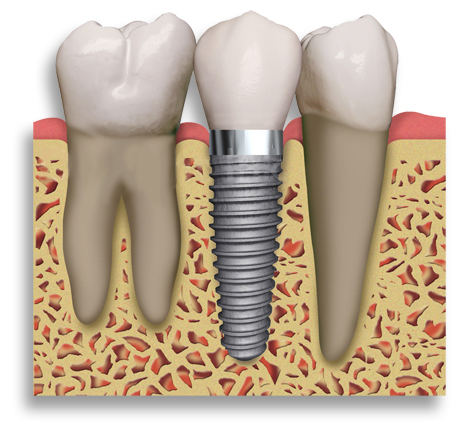 Implants give you a natural looking and feeling, long term solution for tooth replacement. We can replace one or multiple missing teeth with implants in a simple procedure that we can perform here in the office. The process takes longer to finish than a bridge or partial denture, but is well worth the wait. 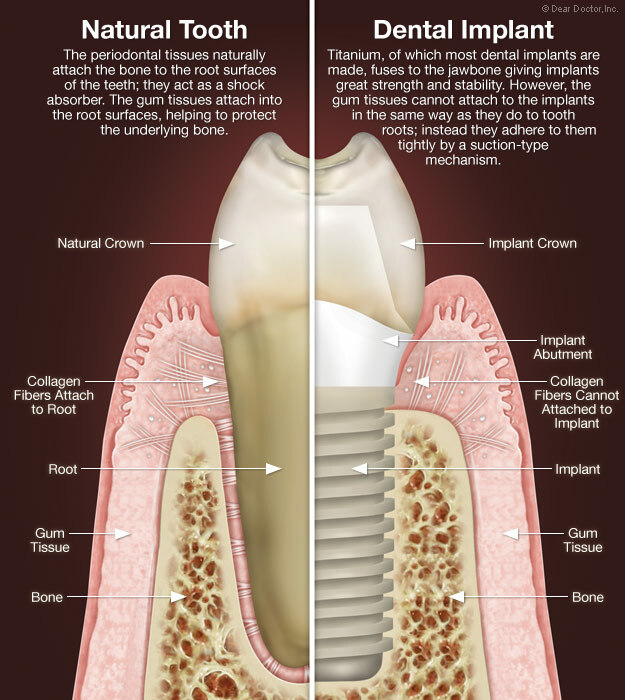 The first step in the implant process is the surgical placement of the implant. We will see you for post operative appointments once a month to check on the healing progress. Four to eight months healing time is needed for the bone to integrate firmly around the implant before the replacement tooth can be placed. After the implant is ready to restore, we will take an impression to send to the lab for the custom abutment and implant retained crown. At the seat date we make sure everything fits perfectly. Adjustments to crowns are not uncommon during the seat appointment. We take an x-ray to verify the crown seats fully. 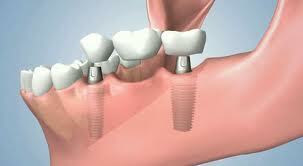 Multiple teeth can effectively be replaced with a bridge spanning between two implants. If you are interested in finding out if you are a candidate for implants, please fill out the form below.